Dr Anamica Prasad qualified as a Medical Doctor in 1999 in the UK and started NHS Dermatology practice at City Hospital, Birmingham in 2003. City Hospital is a Tertiary referral centre with a Regional Phototherapy Unit and here she managed Acne, Eczema, Psoriasis, Skin cancer diagnosis as well as other Skin Dermatoses and lesions for diagnoses and management. She later started using Lasers in NHS Dermatology for the treatment of Acne Keloids on the ear lobe, back and chest and Facial Acne Rosacea. She has regularly treated Hirsutism secondary to Polycystic Ovarian Syndrome with the ND Yag Laser and combined this with Topical Eflornithine (Vaniqa). She has also treated Pseudo-folliculitis in Skin Type 4,5, and 6 as well as Dermatosis Papulosa Nigricans since 2004 successfully with the ND Yag. She has also been trained in the CO2 laser for a wide range of skin conditions. She regularly uses combination treatments of Prescription strength topical or Medical Grade Skin Care such as ZO Skin Health and Roaccutane (low and high dose), Peels and Lasers for full Facial Management. In 2012 she helped set up a Private Aesthetic Clinic, Modality Medical Spa in Birmingham whilst also providing NHS Dermatology there. The main Cosmeceutical at that clinic was ZO Skin Health which she has used since 2013. She is a Member of the British Medical Laser Association and Primary Care Dermatology Society and is an avid promoter of Skin Awareness and Scarring. Her particular interest lies in the treatment of Hyper-pigmentation, Melasma, Scarring and Acne. 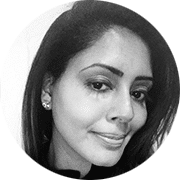 Whilst keeping up to date with General Practice and Overall Health and Anti-aging Medicine her real passion lies in Medical Dermatology pulling together her vast experience in NHS and Private Dermatology for all round patient management. She is a firm believer in evidence based skin care and the benefits of Retinoid acid and Retinol having used this in her patients extensively for over 12 years. No client goes away without some form of Retinol, Vitamin C and Sun screen and detailed instruction in application and understanding on skin health. She is now delighted to be a Faculty Member of ZO Skin Health Academy and UK Trainer for ZO and has trained delegates in UK & Ireland. She firmly advocates Dr Zein Obagi’s philosophy about the Circle of Skin Health with a Cycle of Correction, Maintenance and Prevention and the idea of Dermal Stabilisation and Stimulation. She is now delighted to be based in London and can be consulted through The Harley Medical Group, Harley Street or Liverpool Street, London.